Posted in My Writing, Sword's Edge Chronicles, Writing. A buck or two left on your Amazon gift card? Why not use it to buy a fun read? Both Deuces Wild: Beginners’ Luck and Unlikely Prophet are still on sale for only $0.99! Two SF books on sale – get ’em now! Right now, I have two ebooks on sale for only $0.99! Both ebooks are available in a variety of formats. The “heart stopping” novel Unlikely Prophet is on sale! Unlikely Prophet, the prequel to the Sword’s Edge Chronicles is on sale for only $0.99. This novel is unlike the others in the series, taking place on another planet, one in the throes of destroying itself. The people have retreated to living in domes, in constant fear of an earthquake or volcanic eruption ending their existence. The long-dormant portal activates, and an alien arrives offering hope. Despite their fears, few are willing to risk all to such a drastic scheme. One man becomes the force to impel his people to flee to safety before it’s too late. Available in a variety of formats. The genres in which I write: space opera and erm, science….fantasy? In a conversation with another author recently, we talked about the genres in which we write. Although I write science fiction, I have two series which are vastly different. Deuces Wild is space opera, and briefly can be described as a cross between the movie (or better yet the book) Shane and the TV show Firefly. (That last is not my assessment either, but one my original editor used as comparison for the stories). Book three is being written, and will be released in 2019, hopefully in the spring, but definitely by summer. And book one, Deuces Wild: Beginners’ Luck is currently on sale for a mere $0.99! 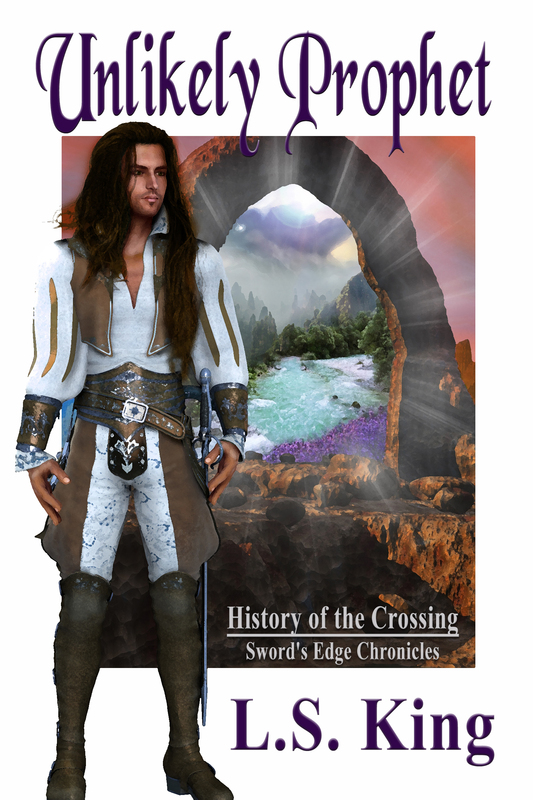 So, if you like a fantasy-feel science fiction, you just may like the Sword’s Edge Chronicles. I have three books released in that series, with book four coming out within two months. If you want to know a bit about their past, see some of the advanced tech they had at one time, and find out a little of the history, you could try the prequel: Unlikely Prophet, which is bit more “proper” science fiction with maglevs and people living in domes. My books are listed at Walmart’s website! It’s a very cool thing to find one’s books listed in a new outlet – so seeing my books listed on Walmart’s website was fantastic! It doesn’t look like they have an author page so one can list all of one’s books and have folks search by author, but yep, they’re there. They use the Kobo format, so if you prefer your ebooks in Kobo, they’ve got ’em! If you’re new to my books, You might give Sword’s Edge a try, the first book in its series, or the first novel in my other series: Deuces Wild: Beginners’ Luck, which is on sale this month for only $0.99!